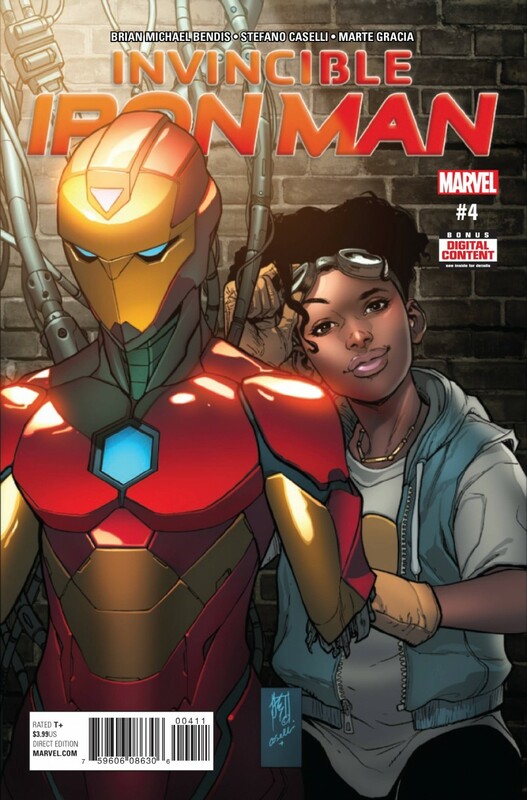 With every issue Riri discovers more about what being a hero really means in this modern complicated world. Her actions start to have a powerful effect across the world and the question is, is Riri ready to take on that responsibility? All this plus, Not only did Tony Stark leave a laundry list of things that need taking care of, he left a laundry list of criminals looking to destroy his legacy.